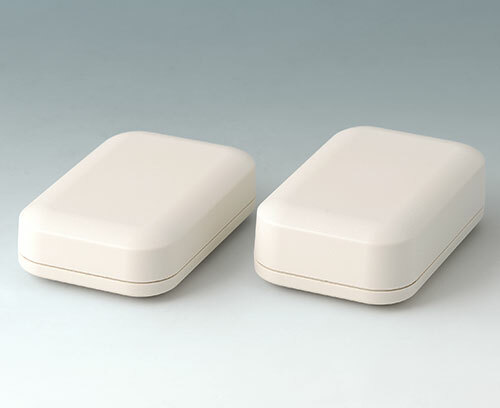 The SMART-TERMINAL enclosure with lateral end plates made of aluminium is now also available as a complete enclosure. 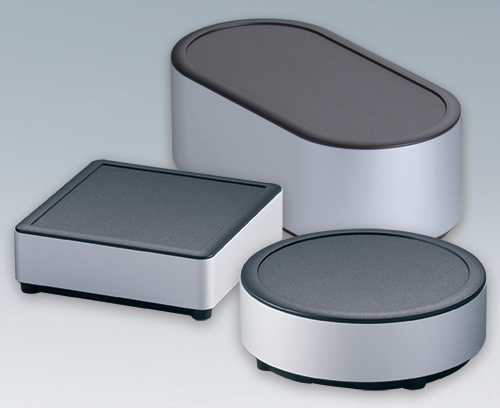 These enclosures will impress you with their extremely compact design and a uniform appearance in aluminium. The end plates can also be rationally processed, for example with cutouts for connectors, cable inlets and outlets etc. On 16.01.2018, the German Patent and Trademark Office granted the OKW SYNERGY enclosure series a legally valid patent. 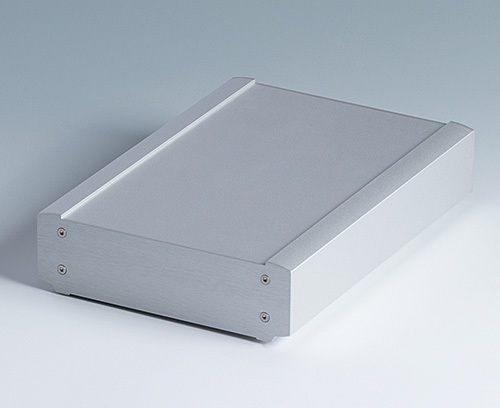 The combination of black plastic parts (top/bottom parts) and an aluminium profile anodised in silver which are bolted to each other by means of innovative connection technology is so far unique on the enclosure market. In addition, the SYNERGY scores with its purist design in 4 basic geometrical shapes: round, oval, square and rectangular. For these reasons, the protection of intellectual property is very important for this modern wall-mount and table-top enclosure series. From now on, the EVOTEC 100 rounds off the robust enclosure series at the lower end of the range. The plastic enclosures are available in two heights: with flat top parts for compact installations and with high top parts for more installation volume. An all-round tongue and groove connection ensures a high degree of stability. With the material ASA+PC-FR (UV-resistant) and the optional seal, outdoor applications are also possible. 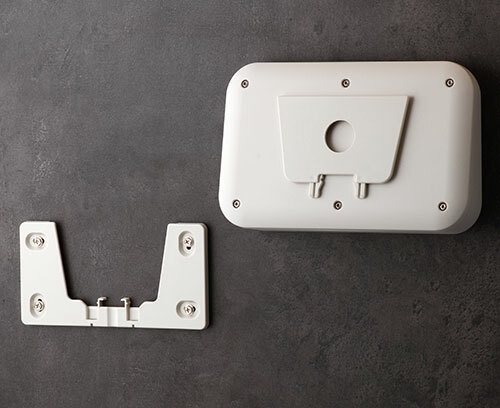 For concealed wall mounting of the EVOTEC enclosure sizes 200 and 250, a wall suspension element is now available as an accessory. The two-piece design allows the enclosure to be clipped in place quickly and easily and, if necessary, two screws can be used to secure it against unauthorised removal. OKW Gehäusesysteme and its Chinese agents Phoeni-tech were present together for the first time at the electronica China trade fair in Shanghai from 14-16.03.2018. The electronica China is an international trade fair for electronic components, systems and applications, and is held annually in conjunction with the productronica China and the Laser/World of Photonics. 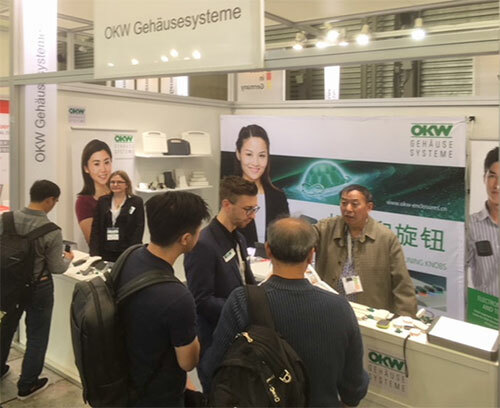 In the German joint stand, OKW had an outstanding opportunity to present its extensive portfolio of high-quality plastic and aluminium enclosures as well as its tuning knobs to the Chinese public. In particular the design-oriented range of tuning knobs attracted plenty of interest among the numerous visitors. For OKW this is a further step towards gaining a foothold in the Asian market and achieving greater publicity. Just in time for the start of the trade fair, a new website went online in Chinese. This allows potential customers and users to experience the OKW product portfolio in their native tongue. The company's own trade fair participation, as well as the language-specific website, generated extremely positive effects in sales within a very short period of time. As a result, further activities in the Asian region will follow, for example participation in the INATRONICS trade fair in Jakarta, Indonesia, from 03-05 May 2018.